For softer and newer looking clothes, adding Liquid Fabric Conditioner by Downy to your wash can benefit your materials. It helps to reduce wrinkles and static cling, as well as fuzz, stretching and fading of colors. Save your favorite shirts and tees with one capful at a time. 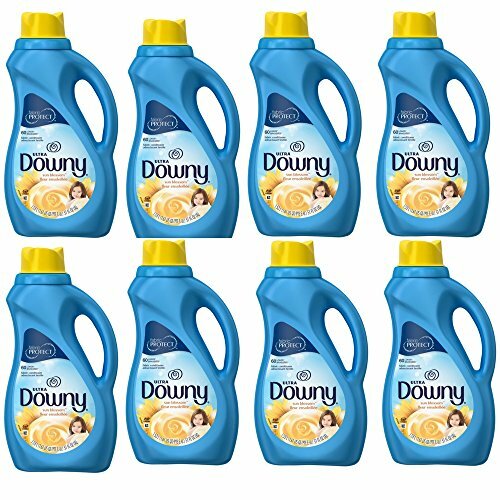 This Downy fabric softener has a sun blossom fragrance from the Renewing Scent Pearls, which helps to make laundry smell fresh after cleaning. Each 51-fl-oz bottle has enough fluid to soften about 60 medium loads. Made with biodegradable ingredients, the Downy fabric conditioner formula is safe to use with all washing machines types. You will feel the difference it makes when you add it to your laundry. Breath in a bright, sun-kissed scent inspired by early morning air with this Liquid Fabric Conditioner. If you have any questions about this product by by Downy, contact us by completing and submitting the form below. If you are looking for a specif part number, please include it with your message.